I just had a monstrous winning day yesterday! Yesterday, I won not just 1, not 2, not 3 but a total of 4 Round Robins to skyrocket up +113.94 units in one single day! 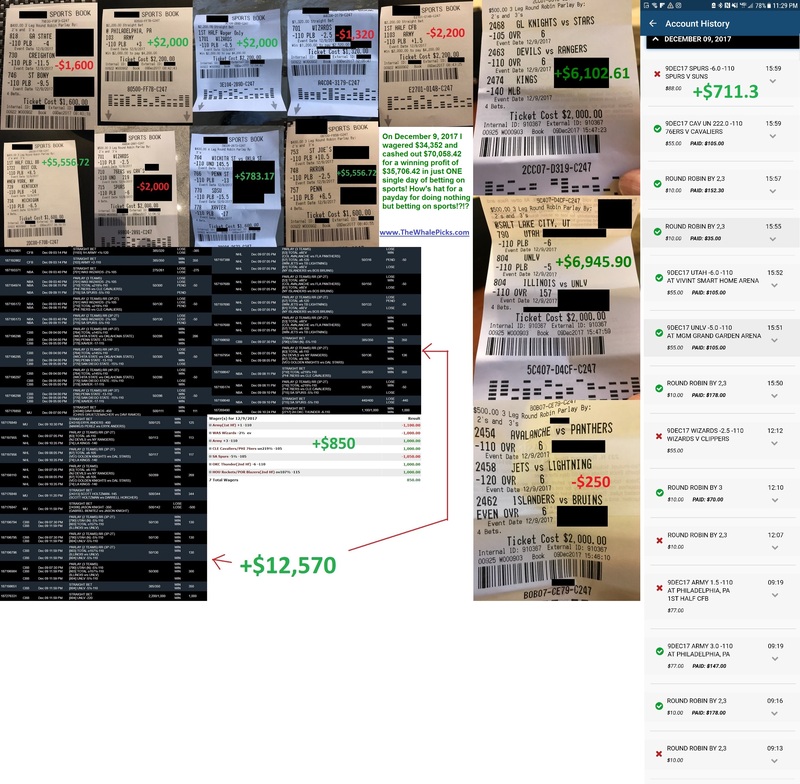 You’ve seen it for yourself: In one single day yesterday, I personally wagered $34,352 on my own picks, and walked away cashing out $70,058.42 – all in one single day! Today, I plan to bet more than $50,000 on my picks. If the patterns hold, you may very well see me get paid out more than $100,000 today. As always, I’ll document all of my $50,000+ in betting tickets today and share them with you as they come in. When you’re following me, you’re following someone who’s not only willing to talk the talk, but also walk the walk. I get in the trenches with you by betting tens of thousands of dollars each day on the same picks I share with you because I truly want you to be sure that I only have your best interest at heart. I win when you win and I loses when you lose. That’s a differentiation between me and everyone else: While the typical touts are great at just sitting back and telling you how they can win…I prefer to go out there and bet hundreds of thousands of dollars every week on my picks to prove to you that I can win. Today, I will accelerate hard to 3 units per parlay for NFL Sunday. If the patterns continue to hold, you could very well see me cashing out over $100,000 in one day today. I can’t wait for you to see it firsthand!